Are you embarrassed by your smile? Believe it or not, today’s society values a beautiful, confident smile, so having missing, discolored, uneven or chipped teeth, among other imperfections may be a sign to consider cosmetic dentistry. At Brandywine Smile Center, our Glen Mills cosmetic dentists are ready to help you improve the of your smile. We want you to be confident in your smile, and there are virtually no esthetic flaws that cosmetic dentistry can’t address. In this blog, we’ll share some reasons why you should consider visiting a cosmetic dentist. Whether your teeth are crooked, discolored, chipped, or you have a missing tooth, cosmetic dentistry procedures can help you achieve a beautiful, straight, and bright smile. Most types of dental flaws can be corrected with cosmetic dental treatments. No matter which procedure you choose, your smile will surely benefit. When you feel like your teeth are unsightly, you may hold back from letting your smile show. You may even feel embarrassed during meetings at work — you may even avoid social situations altogether. From a complete smile makeover to minor procedures such as teeth whitening, cosmetic dentistry can really boost your self-confidence. There are so many different dental services that will allow you to achieve your goal of having your teeth completely restored. Many cosmetic dentistry procedures have a long-lasting effect on your smile, some will often last a decade or more! There aren’t many cosmetic medical procedures with effects that last as long as the ones from cosmetic dentistry. Therefore, if you are looking to improve your appearance quickly while limiting the amount of money spent on cosmetic procedures, enhancing your smile with cosmetic dentistry could be the solution you are searching for! Severely crooked teeth or broken teeth are not just a cosmetic dental issue. In fact, these dental issues can affect your oral health. Many issues, such as decayed, cracked or crooked teeth, can lead to headaches, jaw pain, and even periodontal disease. By having these cosmetic dental issues taken care of promptly, you can better maintain the health of your teeth and gums. Many people worry that cosmetic dentistry procedures will make their teeth and smile look fake. However, many cosmetic dentistry treatments can be customized to match the needs and preferences of each individual patient. 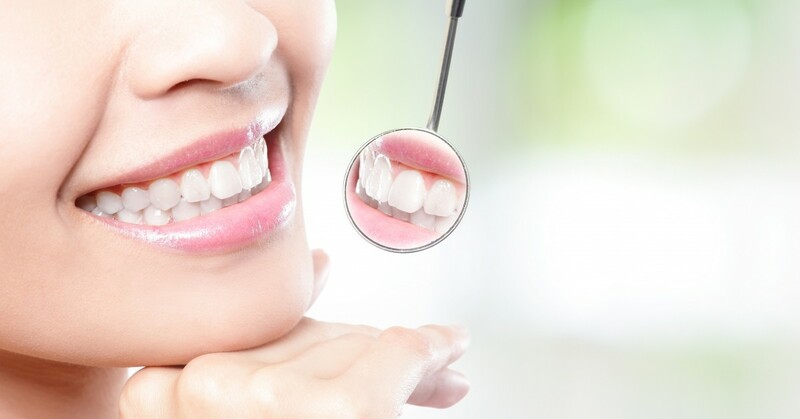 Whether you need dental crowns, dental implants, veneers, or other cosmetic dentistry treatments, you can rest assured that your smile will look natural. The following common cosmetic dentistry treatments can improve the appearance of your smile, restore tooth function, and even improve your oral health. At Brandywine Smile Center, we offer our patients these common cosmetic dental procedures and others. Our experienced dentists will be able to recommend any cosmetic dentistry procedures that can help you achieve a beautiful, healthy, and bright smile. If you’re ready to improve your smile, schedule an appointment today for a dental consultation and exam!